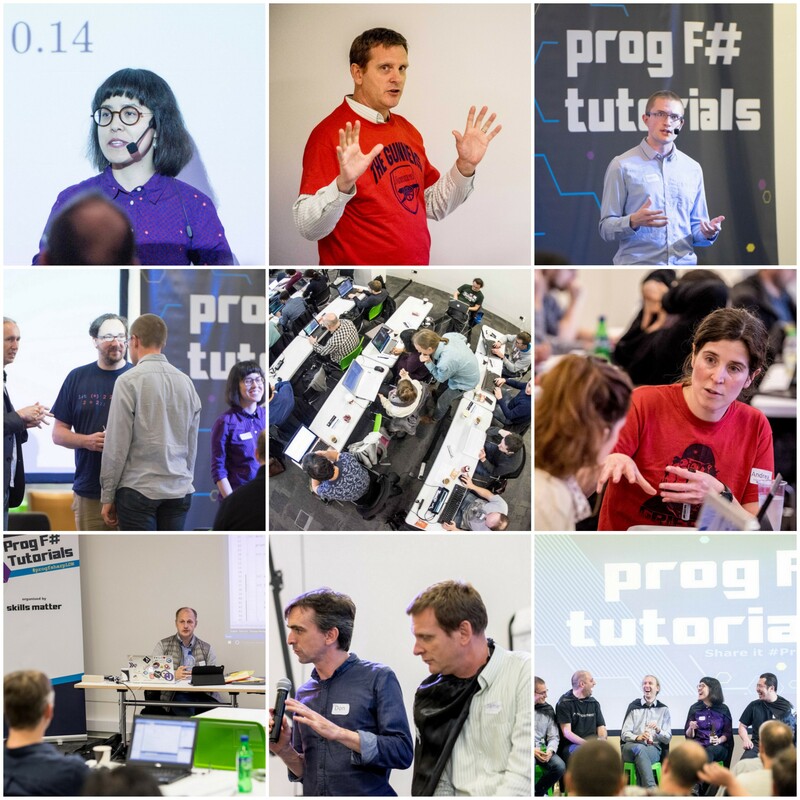 We're putting on two days of interactive workshops at the Progressive F# Tutorials in 2016, so you can meet up with the leading experts in F# and functional programming to learn the latest innovations and practices. Join us at the F# eXchange in London in April 6th and 7th 2017! Prog F# Tutorials will join forces with the F# eXchange conference and will merge into F# eXchange 2017! If you want to take in part in the ultimate F# talks and workshops, learn from the real experts in functional programming and share your knowledge with the community, join us at the F# eXchange 2017! More info here! Registration is open with great Early Bird offers available, so get your skates on and book now! 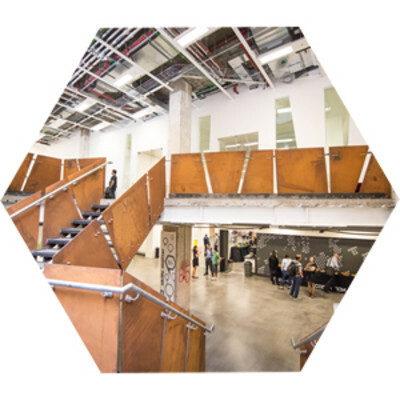 Follow us at #progfsharpLDN to hear all the latest news. The Call for Papers has now closed - find out more here as we'll be making exciting announcements soon! This awesome #ProgFSharpLDN 2016 schedule is shaping up! Please bear with us while we shuffle a few slots around! Do you want to learn F# and Functional Programming? Well, you better start coding! Learning a new programming language is not easy, on top of reading a lot you need to practice even more. This workshop is designed to teach you some of the basics of F# and Functional Programming by combining theory and practice. Jorge works as Associate Director at Jet.com and is very passionate about F#, Domain-Driven Design and Distributed Architectures. 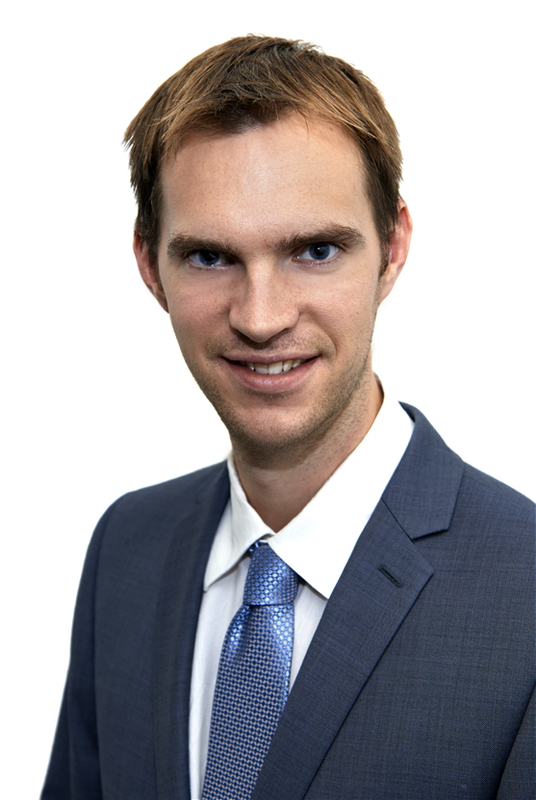 He is a regular speaker, co-founder of the F# Sydney user group and frequently runs workshops to introduce F# to developers. Making bad predictions is pretty easy. But what if you could find a way to take many simple and mediocre prediction models, and combine them into a meta-model that works better than the sum of its individual parts? This question is the focus of what Machine Learning people call Ensemble Methods. In this session, you will explore one of these techniques (boosting), and attempt to predict whether a bottle of wine is good or terrible. You will start from scratch, with extremely basic building blocks, and will progressively combine them into more powerful prediction models, making adjustments to reduce what we didn't guess correctly. Along the way, you will see some of the features that make F# a wonderful language for data exploration and algorithm design, on a real dataset. And once you are done, you'll be able to impress your friends and colleagues with fancy words such as Decision Stumps or Gradient Boosting. 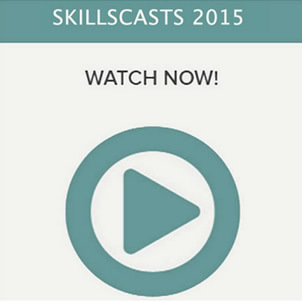 This session is beginners-friendly; no prior knowledge of F# or Machine Learning is required. Suave is a simple web development F# library providing a lightweight web server and a set of combinators to manipulate route flow and task composition. The better way for you to learn about Suave is for you to build Suave. In this interactive, hands-on tutorial, you will discover the development of a minimal version of the Suave library. Tamizh is a Pragmatic, Passionate and Polyglot Programmer. He started his programming journey at the age of 12, and the passion has not left him since then. He has a wealth of experience in solving complex problems using different programming languages and technologies. F#, Node.js, Golang, Haskell are some of his favorites. Tamizh is a functional programming evangelist and authored a book "F# Applied", a practical guide for web development in F# using Suave. This year has seen a boom in chatbots, they are appearing everywhere online. In this tutorial, we'll look at how to build one from scratch. You'll see what are the necessary parts of any chatbot and how do they integrate with each other - from processing user input to deployment. We'll also return to the roots of all chatbots and build a version of Eliza, the chatbot therapist, which is a rule-based chatbot to help you with all your psychological problems. Park Bench Panel Session with #ProgFSharp experts! #ProgFSharpLDN 2016 Party with Pizza & Beer! Most of us aren't saving enough for our future. This isn't something that's going to go away - we're living longer and many of us are underestimating how much money we need for a comfortable retirement. How can you solve this problem? By harnessing the power of F# to deliver clear and easy-to-understand advice and recommendations that takes you on a journey from confused to confident. Over the last couple of years, robo-advisors have emerged as a platform for automating this advice as one part of the Fintech revolution. By the time you have completed this workshop, you will have built a fully functioning web-based robo advisor that will tell you if you're on track to hit your savings goals, and give you recommendations if you aren't quite there yet. Understand the domain and model it with some help from F#'s Algebraic Data Types. Leverage F#'s data capabilities and make a first program that can chart our projected savings. Take it to the next level by building a web-based robo-advisor using one of F#'s fantastic open-source web app frameworks. Doug is a Fintech software developer who is currently helping over a million people feel financially secure. He does this as part of the technology team at Redington, a London-based consultancy firm. He became an F# convert some time ago, and is in the process of convincing the rest of his work team to make the switch from C#. Microservices sometimes involve a bunch of complex tradeoffs which bring more questions than answers early on in development. In this tutorial, you will discover the approach that Jet.com took to rapidly grow and build its microservice architecture. You will learn how event driven programming in F# won’t just make building these services easier but will also help avoid many of the pitfalls that are common in microservice architectures. Working through building and testing an application, you will explore many important areas of this style of microservice including event design, debugging & operation, service patterns, scaling, and distributed system techniques. Brian Mitchell has been building various sorts of distributed systems and databases for about 10 years, which is more than enough time to appreciate the advantages functional programming offers for building and reasoning about real world systems. 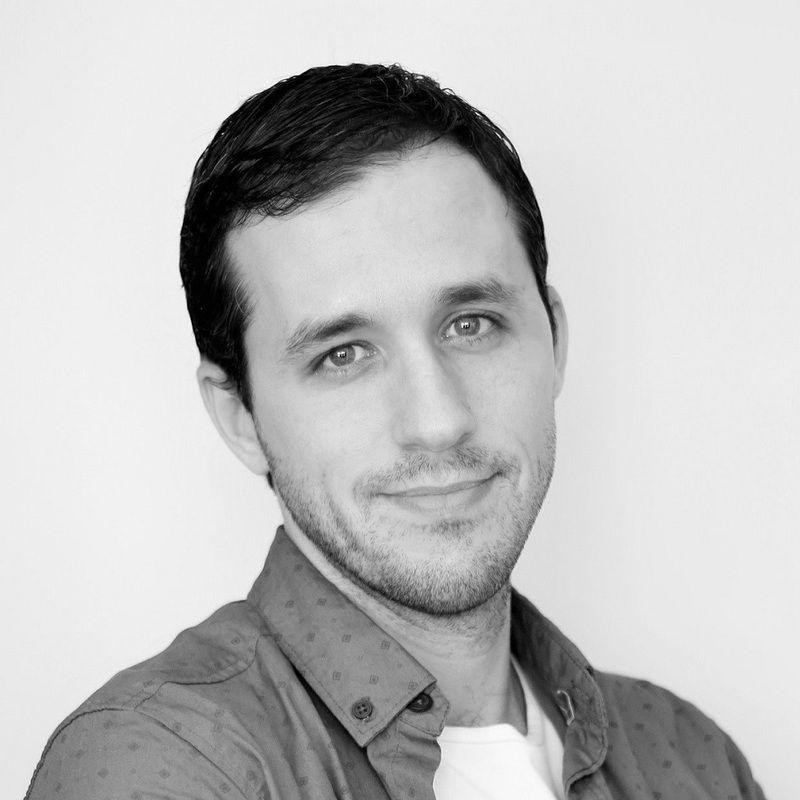 He now works with F# every day as a member of Jet.com’s platform team where he is always trying to find ways to make advanced distributed systems concepts more accessible and practical. Google’s Deep Dream images hit the headlines last year as the surreal and psychedelic images captured the public’s imagination. In this tutorial, you will learn the surprisingly simple algorithm that is used to produce these images. You will discover how the “convolutional neural network” networks used to produce these images work and find out about the “model zoo” where ready trained neural networks can be found. You will also learn about these models can used to classify images – a perhaps more practical application of this technology. The tutorial will use a .NET wrapper around the “Caffe” framework from Berkeley Vision and Learning Center. Students are advised to install CUDA Toolkit 7.5 and cuDNN v4 if they have a compatible nVidia graphics card, as this will speed up image generation. Doug Bruce shares what he is looking forward to at Progressive F# Tutorials! FinTech in F#! This is an area that I work with every day at Redington, where we’re trying to make 100 million people financially secure, and I think it has the potential to improve people’s lives — if applied properly! The problem in a nutshell? Most of us aren’t saving enough for our future. This isn’t something that’s going to go away - we’re living longer and many of us are underestimating how much money we need for a comfortable retirement. How can we help solve this problem? By harnessing the power of F# to deliver clear and easy-to-understand advice and recommendations that takes you on a journey from confused to confident. Over the last couple of years, robo-advisors have emerged as a platform for automating this advice as one part of the Fintech revolution. If you come along to my workshop, you’ll get to build a fully functioning web-based robo advisor that will tell you if you’re on track to hit your savings goals, and give you recommendations if you aren’t quite there yet. The sheer number of incredibly useful open-source projects that people dedicate their free time to. You’ll see them used in any F# talk or workshop, whoever the speaker, and I plan to be no exception! Ones that spring to mind are Ionide, Paket, Fake and Suave. Each one solves a real problem that F~ developers have and hugely improved the experience of F# devs, new and old! How F# can be used for Web development. I’ll admit to having used the language primarily for back-end work - domain modelling, business logic, financial calculations, etc. What I’d love to get out of the upcoming tutorials tutorials is a bit more understanding of how to get F# playing nicely with the internet — I’m told it’s the future, after all. Anyone who wants to see the power and flexibility of F# as a language. Ever wondered how to really model your domain as it is in real-life? I’ll show you how, using F#’s algebraic data types. Still wrangling with csv files to get your data into your app and creating fiddly charts? F# can help by way of a type provider and a brilliant charting library. Unsure how to get your content onto the web without using a big heavy framework? Enter Suave and WebSharper! The evolution of the community-driven projects that I mentioned previously, into the ‘dominant’ tool or framework in their area. I think they are tantalisingly close to replacing the out-of-the-box tools that you get form something like Visual Studio, and am looking forward to the day that they do so! I’m pretty excited about giving this workshop — I get to show off the power of F#, and use it to build something that I think could really help people! Learning F# can be hard for many developers, as they need to learn a new paradigm and a new language at the same time. My workshop will be enjoyed by developers who are new to F# and Functional Programming as it is built to help beginners to grasp the basic concepts and the F# syntax by practicing and writing code. At Progressive F# Tutorials, I most look forward to learning about what others are doing with F# and sharing what we do at Jet.com, the company with the biggest F# team in the world. Tamizh Vendan shares some thoughts on programming in F#! Solving complex problems with less code is the beauty of programming in F#. But for programmers who are coming from imperative or object-oriented programming backgrounds, it is very hard to think from a different perspective and follow the design principles of functional programming. Functional Programming is not as hard as you think. My workshop will help you to demystify the perceived complexities of functional programming and empower you to get started in using F#. I am very excited to be a part of Progressive F# Tutorials; I most look forward to learning from some of the best minds in the F# Community. Read Tamizh's blog on Azure Functions in #F here. Wanna find out more about Progressive #F Tutorials? Check out the Programme Page! The F# community welcomes Alfonso Garcia-Caro and his thoughts on Fable! But the F# Progressive Tutorials won't be only about frontend development. The possibilities of F# go far beyond that and I'm really looking forward to learning from the best minds of the F# community (like Mathias Brandewinder or Evelina Gabasova), about Machine Learning, server development, profiling and many other topics. These are really exciting times for F#. Thanks to Mono, Xamarin, Websharper and the IDE support in Emacs or recently in Atom and Visual Studio Code (with Ionide), F# was able to cross Windows' boundaries a long time ago. But it is now, with NETCore and Fable, that F# is finally becoming a true cross-platform language. Follow Alfonso here on Twitter. Read more about Fable here on Twitter and on Github. 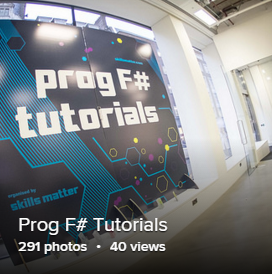 For more information on Progressive F# Tutorials check out the Programme Page! Check out the Highlights from Prog F# Tutorials 2016! Don't miss the 2017 edition of F# eXchange! 2 free tickets to the conference which you can gift to your clients, your engineering team or members of Computing At School (teachers learning computing to teach the new National Computing Curriculum). Be remembered by all conference attendees, speakers and sponsors attending the party this year! Have your logo printed on the #ProgFSharp 2016 Party beer mats and on highly visible party posters and pop-up banners, which are bound to feature in lots of pictures this year. SPONSOR THE PROGRESSIVE F# TUTORIALS SWAG BAGS!